Need A Chair That Makes You Forget All Your Worries? Home furniture is something a person can get really attached to, especially one's personal chair. This hammock swing is an amazing piece of furniture that lets you relax all you want and feel free like a bird! This hanging chair is made in an antique style featuring a rope and swing design! 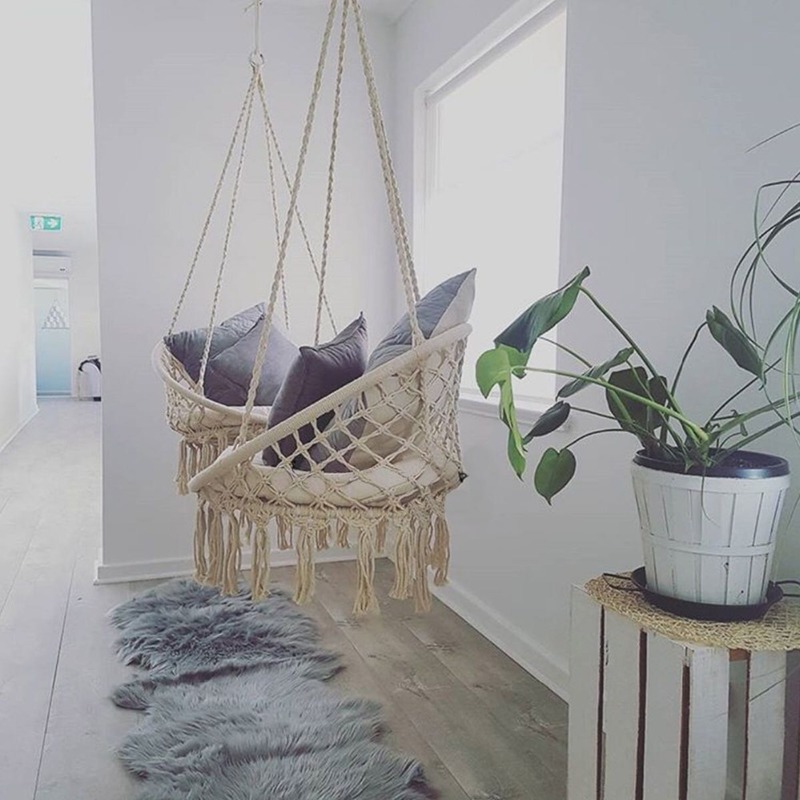 Not only this, this indoor hammock chair swings around when you sit on it, relaxing your mind and body and helping you forget your day's worries. Made up of durable wood and sporting a robust structure, this hanging swing chair is the most awesome sitting furniture you can have in your home for both indoors and outdoors!